Collected rainwater can be used for a wide variety of uses, but can it be made safe for drinking? The answer is yes. How? By filtering and purifying it with the best technology available in Perth. Different contaminants—air pollution, debris, algae, sand, dust, and even animal excrement—can pollute water. Local water suppliers have dealt with these issues for decades using different filtration and purification equipment processes. Thanks to advances in technology, these equipment and processes have been brought down to an economical level, allowing homeowners like you to have them in your home. Certain steps must be taken to make rainwater safe for drinking, the first of which is to keep foreign matter out of rainwater that’s meant to be stored inside your tank. For this, you’re going to need first-flush devices, gutter guards, and other screening systems to keep rainwater as clean as possible before it enters the pipes that lead to the tank. Having such a system in place will lengthen the life of your secondary and main filtration/purification devices, as well as minimise the need for frequent maintenance. If you want to actually make rainwater potable, you’re going to need more than just an average water filter. For this reason, you need to set-up appropriate filtration and sanitisation. Consider purchasing water filters that contain ceramic and carbon components, which have the ability to eliminate many types of bacteria, viruses, and spores that are hazardous to human health. UV radiation is capable of destroying all types of bacteria that other filtration systems may miss. In addition, the process disinfects rainwater rapidly without the use of excessive heat or chemical agents such as germicides, algaecides, and oxidants that may alter rainwater’s flavour and/or composition undesirably. 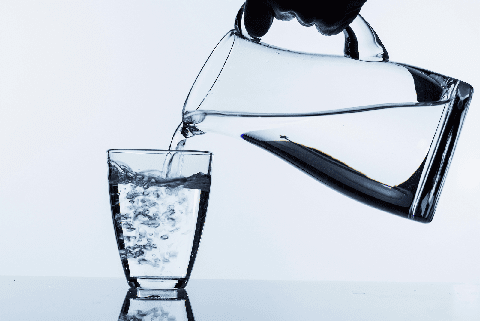 In evaluating your water filtration and/or purification options in Perth, it’s imperative to know what a particular product will actually remove from the water before you buy it. On that note, have your harvested rainwater tested beforehand to know what needs to be treated or filtered out. Don’t assume anything until you get the lab test results. Trusted suppliers of rainwater harvesting systems in Perth like Rainfill Tanks and Curved Roofing Supplies sell different types of filtration systems to suit your needs. Such companies have professionals who can assist and advise you when it comes to choosing the ideal technology for use in your home.